GoWild Casino is no longer available for UK players. GoWild casino that was established back in 2008 makes an outstanding effort to remain professional in all sense – a wide variety of casino games in a unique welcome package! Licensed in Malta, the online casino is regulated by Malta Lotteries and Gaming Authority assuring 100% user security with over 500 pokies available for gaming enthusiasts. This Microgaming casino platform is one of the favorites, quickly growing a name on the web and already brimming with millions of eager participants. Right from the industry standard customer service to multiple payment options, GoWild is a unique playground of extravagant promotions and player rewards. Offering a plethora of exciting games, GoWild Casino’s assortment of typical casino pokies is one of the largest in the business. Enjoy an engaging gaming experience as you step inside the historical world of Game of Thrones or feel animated in the wild with nature’s Jurassic Park. The website promises high payouts featuring an impressive line of roulette, clip poker, keno and much more. Right from the classic three-reel games like Sonic Boom to a few wacky bonus games like Tomb Raider, GoWild has them all! Get entertainment at your fingertips with the newest casino additions like Immortal Romance or Bust the Bank as you bankroll your luck. GoWild is running on mobiles now! This means that the online casino now features a mobile friendly platform ensuring a safe in-house gaming experience. While LGA licensing maintains user confidentiality, the user friendly interface of the mobile platform helps you stream a diverse range of online pokies. The mobile version of the software is accessible on smart phones, iOS devices, Blackberry and Windows. Over 20 or more scratch games can now be enjoyed on your mobile phones. GoWild mobile casino delivers live streaming of casino favorites like Black Jack, Baccarat, roulette etc. GoWild online casino has outlined an incredible stretch of fraudulent measures with a secure shuffling algorithm that enhances this multiplayer casino framework. With over 20 banking deposit options, the site approves major credit card merchants like Skrill, ClickandBuy, Neteller, WebMoney, InstaDebit and many more. Wire transfer is another preferred option available on the site. Withdrawal requests can be processed easily within a span of 48 hours with a $10,000 weekly withdrawal limit. The Fast Cash Program gives premium users the facility to withdraw within 6 to 24 hours ensuring speedy transactions. Once a player has been certified by the security department, GoWild casino issues payout within a span of 24 hours. With the immediate need to satisfy customers with reliable services, GoWild features 24×7 live support services, supervised by a skilled and friendly team of professionals. You can also contact customer services through email, phone and fax details. Level of availability is quite efficient at this casino and one that boasts fair game play and intensive monitoring. GoWild online casino proudly represents an independent platform of diverse gaming opportunities in a highly reliable gambling environment. Offering a wonderful and engaging user interface, the site probably is one of the few that delivers extensive payment options. Sporting security measures like SSL security and data encryption, the site certainly makes players feel more comfortable as they enjoy the wide spectrum of casino formats. 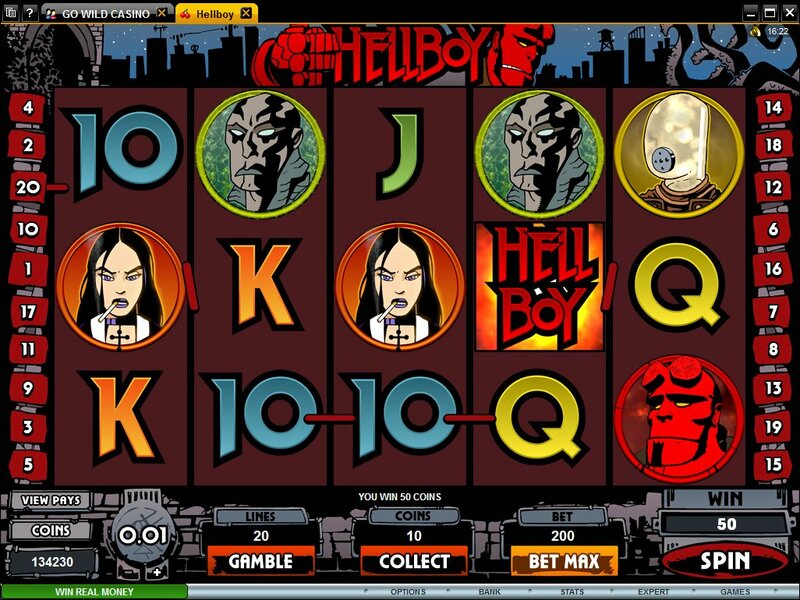 It is highly recommendable for players of all kinds who’re looking for a versatile casino gaming platform.